A new book by a talented writer! 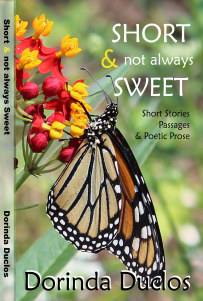 I’m excited to announce my book, “Short & not always Sweet – Short Stories, Passages and Poetic Prose” is now available for pre-order from Amazon for Kindle! This is the first book to include my short stories, as well as my poetry and short passages. I hope you enjoy it. The release date for Kindle is March 28, 2019, with the paperback edition following shortly after.